Searching for the best usb wireless adapter? You’re in luck because we’ve got a round-up of the best devices available. We’ll cover all topics associated with the subject to make choosing one less of a hassle. In this guide you’ll learn how wireless adapters work, what to look for when buying, and answers to commonly asked questions.We’ll also go through the TOP 5 Best USB Wireless Adapters worth the investment. Read on! Landline internet connections can be somewhat problematic, even for desktop computers in one’s own home. Given that the internet’s source is generally a single modem box, it can be very difficult to hook everything up to this source through actual cables. Hence, WiFi has become the go-to method to connect all the devices in a home or business. However, there’s a problem here, as even now, there are a lot of computers (both laptops and desktops) which don’t have built-in WiFi components. This leaves you with two basic options – install a WiFi card (only applicable to desktops), or consider a USB wireless adapter. Of course, you may be understandably apprehensive of USB devices for something as dependent on speed and bandwidth as your wireless connection. What are the important criteria for these devices, and what limitations and caveats are there? In this article, we’re going to not only answer these questions, but also look at five of the better products on the market, and answer some frequently-asked questions about this technology in general. I’ve had to rely on USB wireless adapters on many occasions throughout the past eighteen years, and I’m happy to say that at the very least, this technology’s come quite a long way. The first generation of these devices were, to be quite honest, not great. My first encounter with one, in fact, really exemplified this problem. I had just upgraded from a 732KBPS DSL connection to legitimate cable broadband at a whopping 2MBPS. The new computer I’d built at the time, I’d forgotten to install a WiFi card into, and hadn’t time to order one and wait for it to arrive. The USB adapter I installed was not only a challenge to connect to the network, but it reduced my computer’s speed to less than what I’d had with DSL. At the time, better adapters didn’t exist, leaving me with little choice but to run a long network cable over which I would then frequently stumble. A few years later, after a move, I purchased another which actually worked with USB 2.0, and was quite a bit faster. However, a consistent problem I had with it, and several others until recently, was that it would randomly disconnect. Some USB devices can still do this. When looking for a USB wireless adapter, there are a number of important criteria to consider. First and most important, there are multiple types of USB, including 2.0 and 3.0. Machines older than a couple of years run a high chance of being 2.0, though even system experts can have a hard time looking at a system and being certain either way. Most operating systems aren’t fantastic at identifying this in no uncertain terms. As a result, unless your system is less than a couple years old, 5GHz and many dual-band adapters run a strong chance of not working, due to their reliance on the modern AC protocol – something that only works with 3.0. Second, you’ll want to consider your form factor. These come in a variety of sizes and designs. If you’re not concerned about space, a larger one with antennae will provide better range and signal strength. The tradeoff is that these can block other neighboring USB ports, and do project out into space quite a bit. If this is an issue, the smaller “thumb drive” sized adapters (and some are even smaller) may be called for. Many of these tend to have a weaker range as well as a slower speed. This isn’t always the case though, as the pricier ones can still be powerful. Similarly, while USB devices are somewhat known for their ability to “install themselves”, it can be a bit more complicated for something like WiFi. That said, you should avoid buying an adapter that doesn’t include a driver disc with a setup application. Most do, but not always. Finally, you’ll want to consider security. Your WiFi network should always be password protected with, at the very least, WPA encryption. However, opting for an adapter that supports the extended set of security protocols – EPA, WPA2, WPS and WEP – is always a wise idea. Now let’s look at some of the best offerings on the market. We’ll cover both budget and high-end options along with their differentiating features. Includes Drivers and Setup: Yes. This device is designed to be plugged in, and simply work after a quick installation. Like most nano form factor USB devices, it can sometimes run a little warm, which may result in it disconnecting on rare occasions. Works with all standard platforms. Small size means it doesn’t block other ports. Can overheat in severe situations. Nano devices are easy to lose. As a budget device, this is a solid option. For streaming and other standard internet access, it will work fine. However, for those doing a lot of very heavy data transfers over local networks or the internet, or game online, it may be a bit sluggish. This thumb-factor antenna model is a higher-speed yet still compact option including a single antenna capable of both 2.4G and 5.8G bands, intended for the heavy bandwidth user. This antenna model is built with a higher range and a greater speed in mind. Still being a slim thumb/dongle design, it’s not going to obscure your other USB ports. This is a 3.0 only device, meaning older computers will likely be unable to use it, and the same can be said for very old modems or access points. Works with all still-supported Windows and OSX distributions. Extended range benefits of an antenna without blocking nearby ports. Only Linux support is through dicey 3rd party drivers. Antenna is large and cumbersome. If you need higher speed and lower latency, but can’t have a bulky adapter obscuring your USB ports, this might be a suitable solution. However, you’ll need a modern computer and a modern modem or access point in order for this to work properly. This is a thumb-factor USB adapter for modern windows machines with a mid-range capacity. This is a mixed-functionality adapter, with only 2.4GHz capable with older machines, making this mostly ideal for newer machines with AC protocol and USB 3.0 support. Its size means it can possibly obscure nearby ports if they’re horizontal. Works very well with Windows 8/10 machines supporting 3.0. Requires 3.0 and AC in order to get real speed. No Linux support and limited OSX support. If you need decent speed out of your modern Windows machine with USB 3.0, then this will serve your needs in most cases. However, Mac and Linux users will find it almost or entirely impossible to get this one working. This adapter aims to avoid the limitations of compact design by connecting through a micro-standard USB tether of the same design used for phone charging. This device is larger, allowing it to have beefier hardware inside, as well as two high-powered antennae for mixed band speeds. It does support both USB standards, allowing both standard speeds as well. Its design means that it tethers to the computer through a USB cable, which while not obscuring ports, does mean it needs somewhere to sit. This isn’t a big deal with desktops, but could be annoying for laptops. Bigger device has more power and versatility. Includes setup with high-quality OEM application. Could be annoying to use with laptops. Sometimes struggles with USB 2.0. While this one does support USB 2.0 (at slower speeds), it sometimes struggles with this. If you’ve got 3.0, however, this is a very powerful adapter that stays out of the way, with high range and minimal packet loss. However, if you have to connect this to a laptop, it requires more surface area. This USB WiFi adapter can be either plugged directly into the PC, or tethered through a dongle cradle. Dual band with two antennas, this is a high-speed mixed-standard adapter for those in need of high speed at a long distance. Form Factor: Mixed; Tether or direct dongle/thumb. This device definitely will get in the way of other USB ports if directly plugged in, but the tether means this can be avoided with desktops. Meanwhile, the tether being a modular component means it can plug directly into laptops, requiring less surface area. This device is best suited for 3.0 devices needing to overcome distance. It’s passable for gaming, though the latency of dual band switching devices like this may be an issue with peer-to-peer models of networked gaming. Modular design means it can be space-considerate in more than one way. Tether cradle is prone to becoming “loose” if mishandled. Could have latency problems with some games. Requires a 3rd party driver for Linux which requires a bit of expertise to set up. Does NOT support OSX 10.13 or OSX distributions older than 10.6. If your access point or modem is very far away, this one will definitely solve that problem, and provide pretty decent speed at the same time. However, you may or may not have latency issues with games, and your brand new MacBook will probably not work with it. Q: Are wireless adapters good for gaming? A: It’s not impossible to game with a USB adapter, but in all honesty, you need a high-end adapter with USB 3.0 to not experience latency. Wired connections or internal cards are generally more ideal. Q: Are USB adapters better than PCI cards? A: No, they are empirically not better than PCI cards which have a far more rapid, parallel data exchange with no middle man protocol. Q: Do these devices work on PS4? A: With a couple very rare exceptions, no, they don’t. Q: How to install USB adapter on Windows? A: Some will simply automatically install when plugged in. Others, simply insert the CD, run the setup, and then configure your connection through the installer, or Windows’ own connection settings. Q: How to install USB Adapter on Mac OS? A: With Mac, you simply insert the driver disc, and follow the set-up wizard. Q: Can I use itfor hacking? A: Hacking is illegal. However, yes, at least the dual-band and 5GHz models could be used for this – speed is important to get in, and get out. Q: What is the best adapter for pentesting? A: Likely the modular TP-Link, as it’s the most flexible across the board. Q: What is the best USB wireless adapter for TV? A: If you’re doing HD 1080P or 4K, you will want one with antennae and a high transfer speed such as the TP-Link or BrosTrend tethered models. 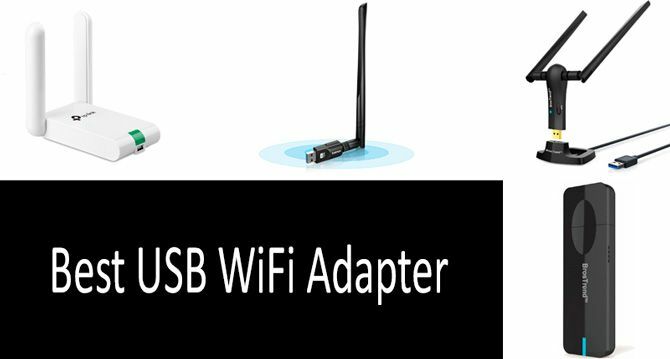 Q: What is the best USB Wifi adapter for Kali Linux / MacBook Pro / Ubuntu / Windows XP? A: The budget TP-Link nano model at the top of this list is the most universally-compatible thing going, so this would be your best bet. USB wireless adapters aren’t the most ideal WiFi solution; that honor goes top PCI cards. However, since installing one of these after the fact is an undertaking many may not wish to tackle, and in some cases, isn’t at all possible, these devices do come in handy. 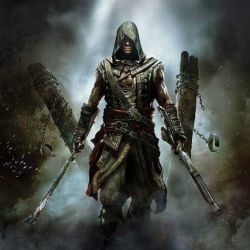 Gamers will find it hard to find one perfect for their needs, but for streaming, covering significant distance, and other high-broadband issues, there is going to be a solution in this niche to solve the problem. Just remember, unless you’re a Windows user, your choices will be far more limited, and the same goes for getting higher 5GHz speeds due to newer USB protocols being necessary. If you’re not sure what your compatibility is, be sure to consult someone familiar with system profiles before committing to a purchase!